Paraclete Press is pleased to announce that, starting November 1, 2018, Lillian Miao, CJ, has returned to the publisher after a ten-year absence, as Director. Miao was CFO and then CEO of Paraclete Press from 1987–2008, during which time she was active in the religion publishing community, including a term as the first chairwoman of the Evangelical Christian Publishers Association (ECPA). During her time away from the press, she has been active in leadership at the Community of Jesus, to which she belongs, and which owns and operates Paraclete Press. She and her husband, Andrew, also spent most of the last two years living and working abroad in Taiwan. 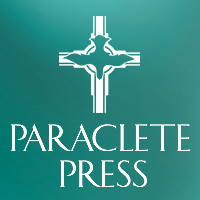 Miao joins an experienced team at Paraclete, including Jon M. Sweeney, Publisher; Robert Edmonson, President; and Laura McKendree, Director of Marketing and Sales.